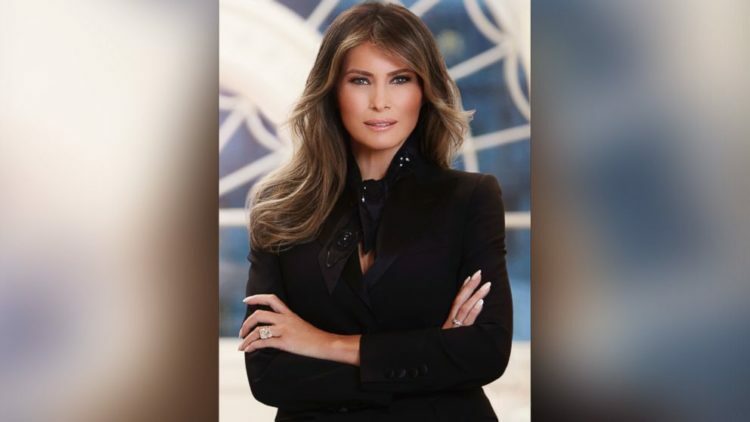 Melania Brutally ATTACKED Over White House Portrait – Then Outfit Designer DESTROYS Her Critics! 05 Apr, 2017 by	Margaret M.
The fashion designer who dressed Melania for her stunning First Lady portrait does not care what liberals have to say to him. By now we’ve all seen the lovely photo of the FLOTUS, who, as a former model, is already a professional at posing for the camera. In her newly released official portrait she wore a $2,895 Turlington jacket by Dolce & Gabbana. Paired with her 25 karat engagement ring and a fresh manicure, the dark blazer was a perfect fit. It’s a flawless image, so it’s no surprise that liberals still managed to find a way to be angry. This time, their target was the designer responsible for the jacket, an Italian designer named Stefano Gabbana. Gabbana posted the portrait to his Instagram stating in all-caps, “BEAUTIFUL,” thanking her for appreciating his work. Nice, polite, respectful and obviously flattered that his piece was used in an official portrait. Remember the angry liberals? Here come the angry liberals and Gabbana’s legendary and blustery replies. This isn’t Stefano’s first rodeo with crazy people attacking him for reposting the Trump ladies who wear his pieces. And for complimenting Ivanka’s post-baby figure in one of his dresses. So far, Stephano hasn’t commented on President Trump’s politics and he only seems to care about lovely women in beautiful outfits. I’m sure that everyone who follows Stephano on Twitter also only cares about lovely women in beautiful clothes and that all the anger is just from busybodies who are just looking for another fight to pick.